Every project and as a consequence every project manager has to deal with different targets, different environments and, last but not least, with different people. Therefore, only the Know-how and the Do-how will transform a project manager into an excellent project manager. 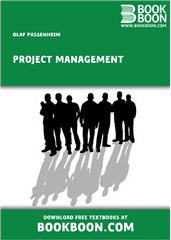 Read this book to learn more about Project Management. The main topics of this book are: Project Organisations, Estimation of Times and Cost, Risk Management and much more.